When you visit the SecureDating.com website you may provide us with two types of information: Personal information you knowingly choose to disclose that is collected by us and website use information collected by us as you browse the SecureDating.com website. When you enter the SecureDating.com website, we collect the user’s browser type and IP address. This information is gathered for all users of the SecureDating.com website and is used for administrative and analytical purposes, including diagnosing problems with our servers. In addition, when you enter the SecureDating.com website, we store certain information from your browser using Cookies. A cookie is a piece of data stored on the user’s computer tied to information about the user. We use session cookies containing encrypted information to allow the system to uniquely identify you while you are logged in. This information allows us to process your online requests and preferences. We also use persistent cookies that only we can read and we use for purposes of personal identification. We are precautious about the security and confidentiality of the information stored in persistent cookies. For example, we do not store account numbers or passwords in persistent cookies. You can remove or block this cookie using the settings in your browser if you want to disable this convenience feature. We do not collect any data about your credit card, purchase amount and payment method. We do collect data about the date of your purchase and the number of Credits purchased. 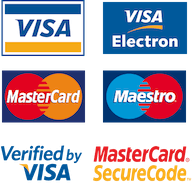 We may use your financial information or payment method to process your payment for any purchases made on our website, enrol you in the discount, rebate, and other programs in which you elect to participate, to protect against or identify possible fraudulent transactions, and otherwise as needed to manage our business. Our policy is simple: We never share, sell or lease your personal information to any third parties under any circumstances unless we are legally obligated or you have given your explicit consent to do so. The SecureDating.com website might contain links to other websites. SecureDating.com is not responsible for the privacy practices of other websites. We encourage our users to be aware when they leave the SecureDating.com website and to read the privacy statements of each and every website that collects personally identifiable information. This privacy statement applies solely to the SecureDating.com website. As a member of SecureDating.com you may modify or remove any of your personal information at any time by logging into your account. For technical reasons, any modifications or deletions, which you request, may take a short period of time to take effect. You may at any time and at no cost request information about your personal data that are processed by SecureDating.com, correction of any errors in your personal data, termination of processing of your personal data, erasure of your personal data or portability of your personal data. To exercise these rights, simply contact us through our Customer Support with related requests. When contacting Customer Support, please make clear what personal data you would like to have changed. For your protection we may need to verify your identity before implementing your request. We will try to comply with your request as soon as reasonably practicable. To file a complaint with a supervisory authority contact Communications Regulation Commission (CRC) at CRC.bg. SecureDating.com operates internationally and thus we may transfer personal data to countries other than the one in which you reside. Those countries may not have the same data protection law as the country in which you initially provided your data. We deploy safeguards if we transfer personal data originating from the European Union (EU) and European Economic Area (EEA) to other countries not deemed adequate under applicable data protection law. We process data outside of the EU and EEA. In particular, to offer our Service, we need to transfer your personal data to the United States and Ukraine. The United States and Ukraine are not considered to provide an adequate level of protection under EU data protection law. It means that these countries do not have the same data protection laws as the country in which you initially provided your data, if you did so within the EU and EEA. In all cases we use European Commission Approved Standard Contractual Clauses as a legal mechanism for data transfers from the EU. These clauses are contractual commitments between companies transferring personal data, binding them to protect the privacy and security of the data. SecureDating.com accordingly has adopted Standard Contractual Clauses so that the data flows, that are necessary to provide, maintain, and develop our services, take place legally. We take appropriate security measures (including physical, electronic and procedural measures) to help safeguard your personal information from unauthorized access and disclosure. 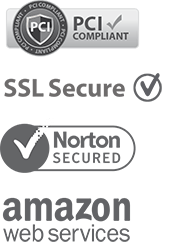 We use SSL encryption in the transmission of your sensitive personal information between your system and ours, and we use firewalls to help prevent unauthorized persons from gaining access to your personal information. We want you to feel confident using the SecureDating.com website to do relevant transactions and use our services. However, no system can be completely secure. Therefore, although we take steps to secure your information, we do not guarantee, and you should not expect, that your personal information, searches, or other communications would always remain secure. Users should also take care with how they handle and disclose their personal information and should avoid sending personal information through insecure email. If you do not agree with the terms of either of these policies, please do not provide SecureDating.com with any information and do not use any SecureDating.com services or the website.